Deborah Preston is an accountant who joined us. Her main roles include financial reporting and accounting for the clinic and its associated businesses. 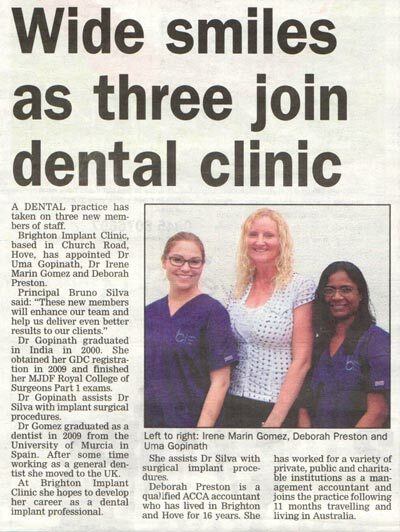 Dr Uma Gopinath and Dr Irene Marin Gomez both dentists joined the clinic after extensive training with dental implants at the Brighton Implant Clinic.